Will Augmented Reality entangle our views of Real World? 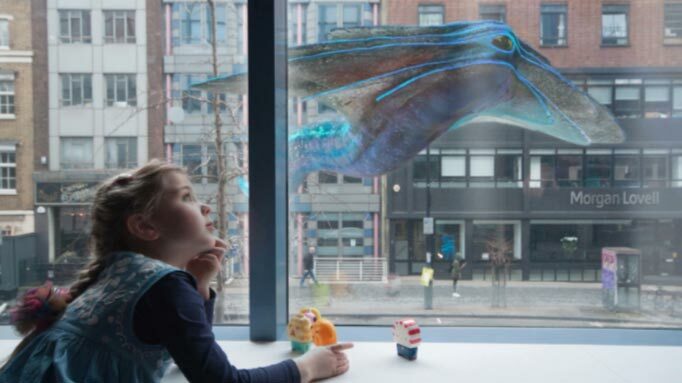 “Strange Beasts”, a short British film takes a peek into the future where Augmented Reality would become a hindering force in human life. With many tech savvy’s eagerly waiting for a mighty leap the field of AR dimensions, this film provided a less optimistic view of them. The story primarily revolves around a man who creates an AR device which can assist humans in evolving an augmented companion for them. In the meantime, his daughter evolves her companion ’Blobby’ to spend time with him, which serves as the backdrop of this entire short film. The main motive that this film serves is to make humans realize that living in a world that’s not knit out with 100% reality has its own consequences. With such technologies evolving at a fast pace, we certainly will be facing such a dilemma!